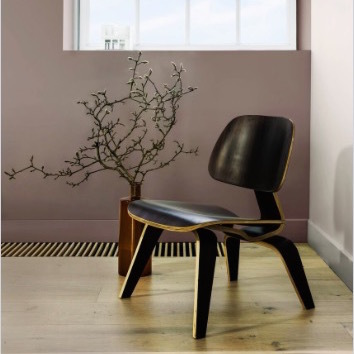 Dulux has announced its 2018 Colour of the Year and called it ‘Heart Wood’. I prefer to name it ‘Bruise Purple’, as then you can instantly picture the sort of hazy pale purply hue that it is. And moniker aside (fair enough, no doubt ‘Bruise Purple’ hasn’t quite the soothing “warm, neutral with a hint of heather” connotations Dulux was after) I think Dulux has actually got the colour right for once. For this has indeed been a bruising year. A year of schlock and horror. The world is in turmoil, potentially on the brink of a nuclear war, and a semi-psychotic reality TV star is still purportedly in charge of America. It couldn’t really get any worse, could it? Oh wait, our government’s also in disarray, the Brexit negotiations look like they’re going really well (not), and we appear to have failed to have summer, again, so… ‘Bruise Purple’ to represent the next chapter, perfect. That said, it’s a rather beautiful colour; transfixing in the way that the evolution of a bruise is too. It’s one of those dirty colours that I love so much; in other words a colour that’s had the sharpness taken out of it with a big dose of grey. It is also a colour that implies a definite choice on the part of the user, for this is no default hue. It sits neither in the pink or purple camp, nor blue, and certainly not white-with-a-hint-of-anything. Instead, its heritage is a combination of all of the above. Plus the grey. And in this way it embodies many of the characteristics of each of these individual colours, albeit in a equivalently toned-down iteration. Thus the posturing, regality of purple becomes a more modest princeling who does not as yet know the priviledged position of his birth. It holds a touch of the softness of pink, in that it is gentle, but not weak, and certainly not sappy — Barbie would never wear this colour. 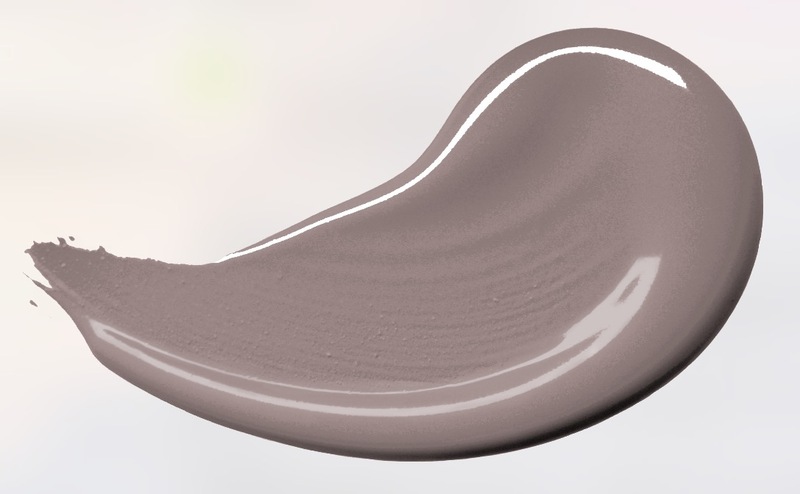 It has the sophistication of a grey, however without that hue’s potential coldness, or hard edges. 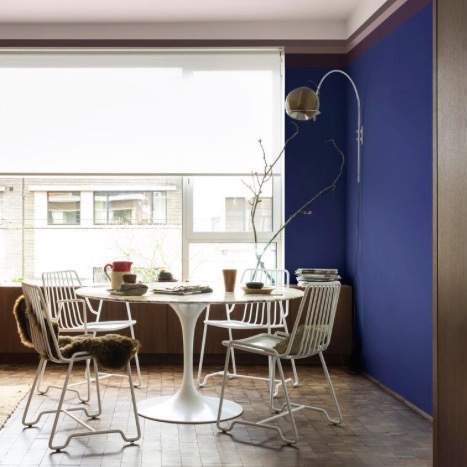 And while it will definitely lack the mainstream popularity of any shade of blue, I think it might well be an underground hit — one for the millennials and mavericks. 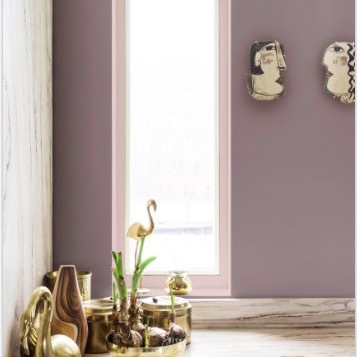 It’ll also work well with a diversity of other colours from bright to navy blues, warm shades of hazelnut brown via rich plum to coal black and plaster pink. Thus it is truly representative of what we need right now, a cool, calm, yet probably quite alternative new beginning that can reach out across many a divide. It’s a new story. One with more compassion than those of late. One that brings people together, with the caveat that they don’t have to agree, but they do have to talk. It is then perhaps the colour of community and compromise. How? Because it is not stubbornly fixed in one camp or the other, and its ultimate interpretation will depend on its context. It will be coloured by that which it reflects, that which surrounds it, and that with which it’s associated. And surely that’s a good thing?